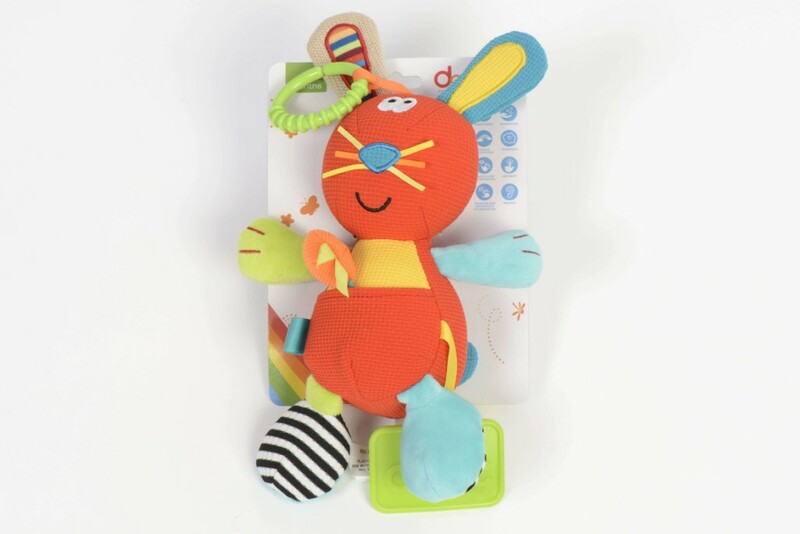 The cute and fun rabbit has a hanging loop so that it can be placed on a buggy or cot. The bright, embroidered fabrics and bean bag interior make it perfect for cuddles. 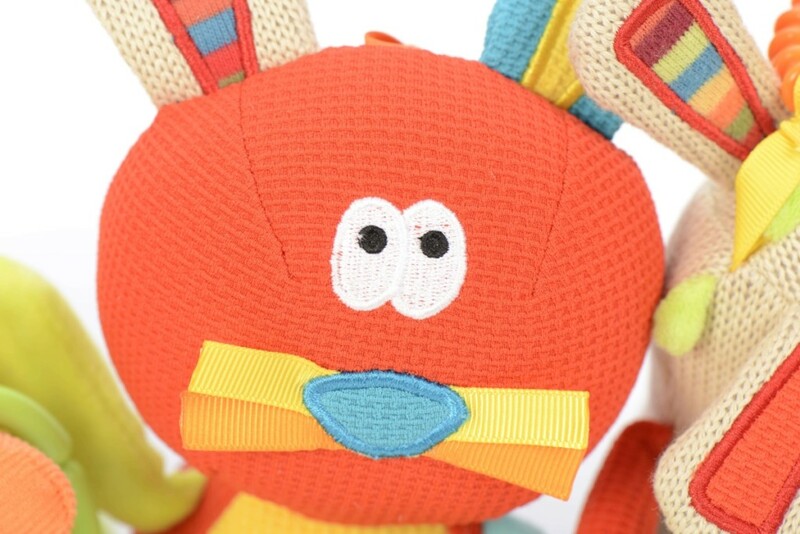 There is also a crinkle carrot in the rabbit’s pouch which can be removed. There is also a ringing bell on the head when the rabbit is shaken. 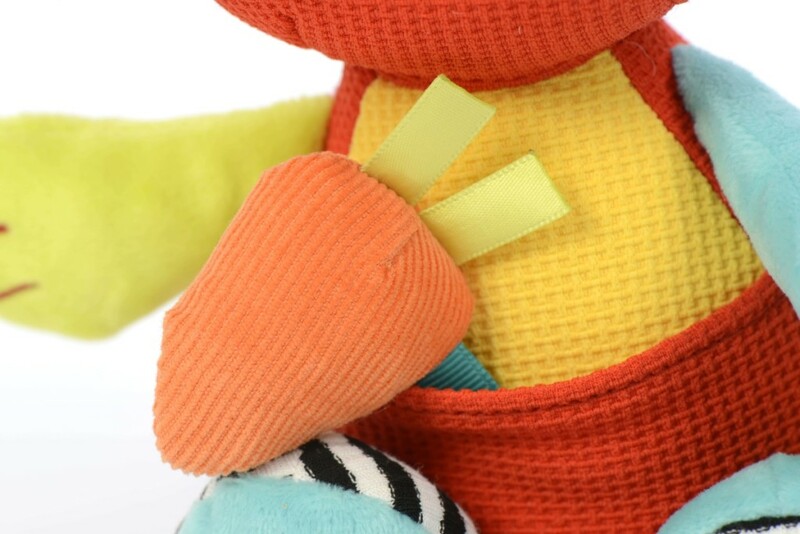 • Sounds: Children will delight in creating sounds through using the squeaker, crinkle and bell. 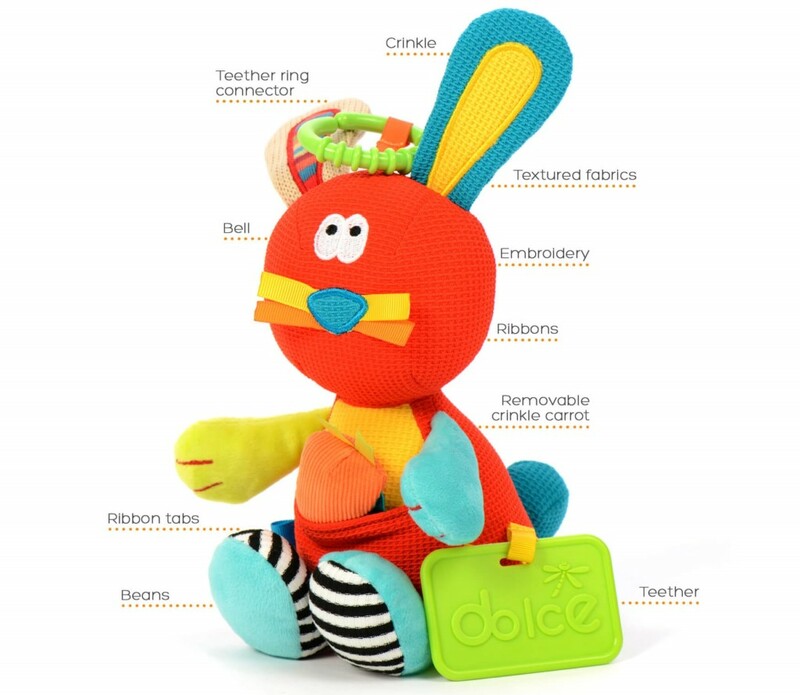 • Touch: The different textures, crinkle ears and squeaky tail are extremely satisfying for children to play with. 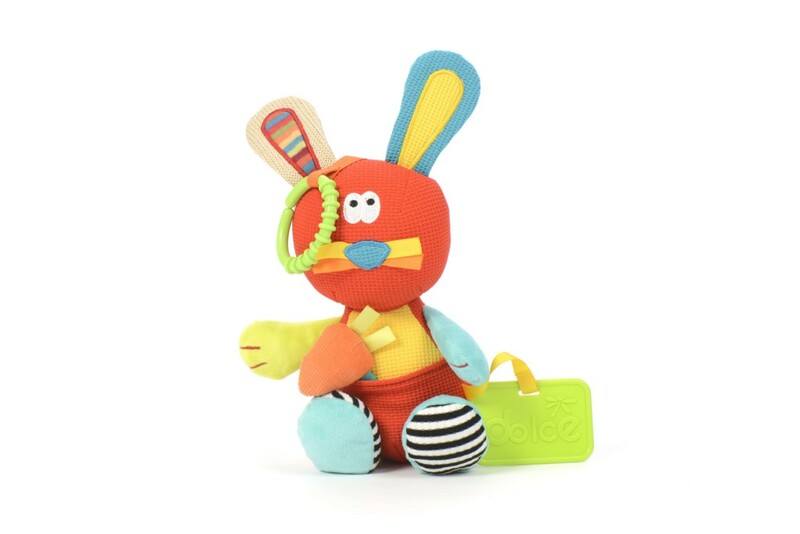 • Helps to connect motor skills with auditory learning by squeaking and ringing the bell. 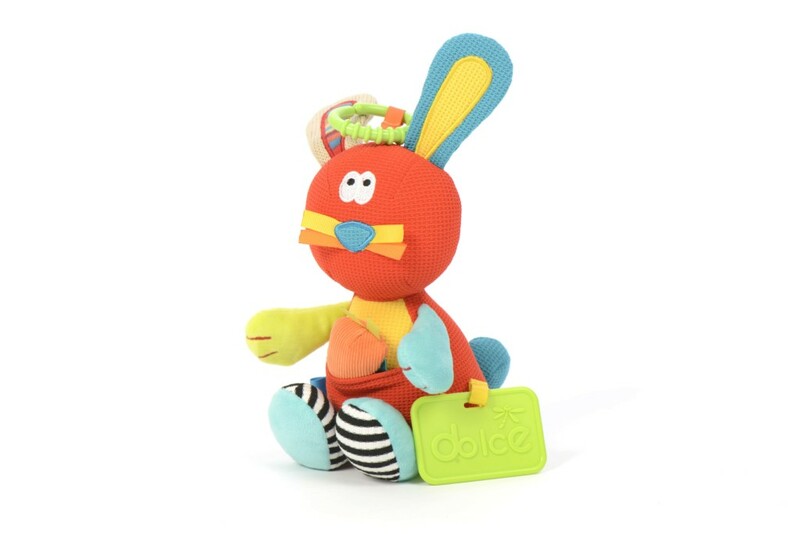 • The small carrot can be hidden or removed by opening in the pouch will develop hand eye coordination.